Ward 29 is home to Carrot Common, the East York Civic Centre, and more cycling than you can shake a spoke at. 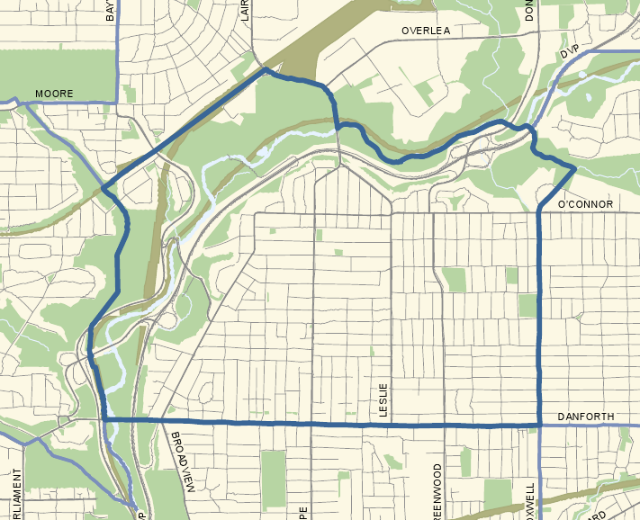 Encircled by Coxwell Avenue, Danforth Avenue, and the Don Valley, Ward 29 is home to some of the best riding in the city. Cycling attractions in or adjacent to the ward include the Don Valley Brickworks, Crothers Woods, and a large chunk of the Don Valley trail system. The ward currently has just 3 km of bike lanes: an east-west stretch along Cosburn Avenue from Broadview to Coxwell (and continuing through Ward 30 to east of Woodbine) and a 70m-long contra-flow bike lane on Chester Hill Road. Unfortunately, the Cosburn lane isn’t currently connected to any additional cycling infrastructure in Ward 29: two southern connectors to Danforth and Bloor along Broadview and Coxwell and two northern connectors to Leaside along O’Connor, Pape, and Donlands that are shown in the Bike Plan have not been approved and are likely not on the city’s agenda yet. In addition to the attractions within or adjacent to Ward 29, a large number of popular cycling destinations are located within 8 km—a leisurely half-hour bike ride—of our neighbourhood. 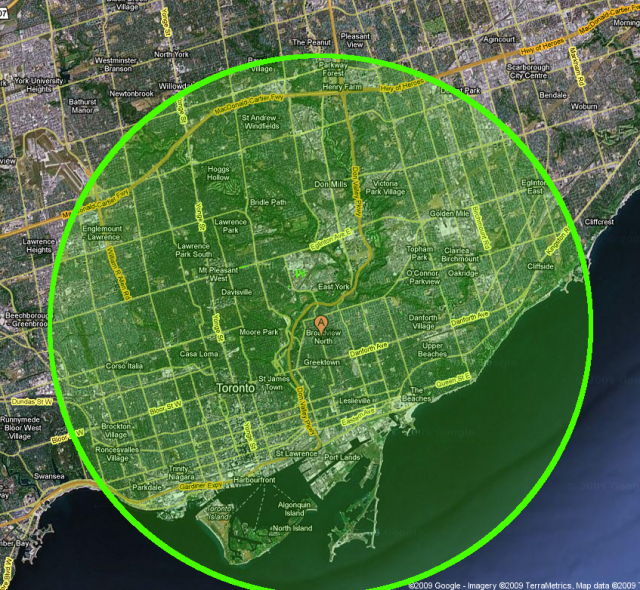 They include the Beach, the Waterfront Trail, The Belt Line trail, all of downtown, the Eaton Centre, Toronto Island Airport, the Leslie Street Spit, High Park, the Scarborough Bluffs, and the Don Valley trail system including Sunnybrook Park and Edwards Gardens. North South routes are the biggest challenge, especially between Gerrard and Danforth in the East End of Toronto. Jones path is good, but east of that there’s nothing to get you across the railroad tracks. Cyclists climbing Coxwell, Woodbine or Main St. need a lot of room and cars are trying to get past you at the last second when they suddenly see you because the car in front of them skirts around you. I’ve been doing this for 25 years. I wish I could ride on the sidewalk in those dangerous sections. I see lots of cyclists walking their bikes up the hill during rush hours.